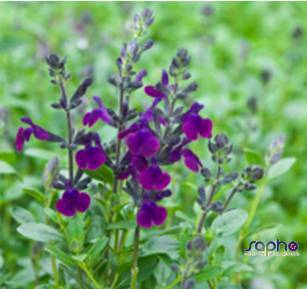 The flowers, of more than 3 cm long, are of an intense velvety purple, with a purplish blue light inside. Our range of sages is getting a new variety with a brand new colour. The flowering starts abundantly in May and lasts until September. 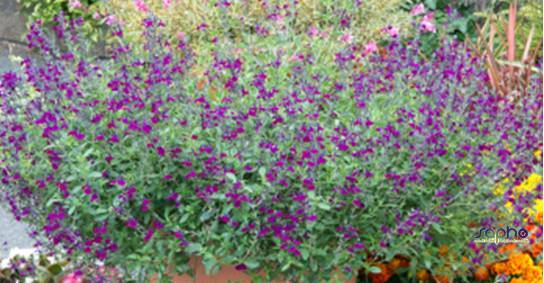 The foliage is small, of a rather dark green, semi-evergreen and naturally aromatic.